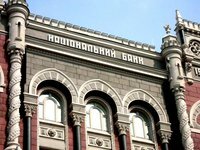 The National Bank of Ukraine (NBU) has reviewed downwards the assessment of growth of real GDP of the country in 2018 to 3.3% from 3.4%, according to a posting on the website of the central bank. The forecast of GDP for the next two years remained unchanged: 2.5% and 2.9% respectively. "However, real GDP growth will slow to 2.5% in 2019, as predicted. The slowdown will be driven by the tight monetary policy necessary to bring inflation down to the target level and by the conservative fiscal policy intended to finance significant public debt repayments this year," the central bank said. In addition, the grain harvest is expected to decline from the record levels that made agriculture the primary driver of economic growth. Another factor will be a gradual deceleration of growth in the global economy and trade, including due to protectionist measures. According to the NBU estimates, next year, real economy growth will start to accelerate, hitting 2.9% in 2020 and 3.7% in 2021. "The growth will mainly be propelled by a gradual easing in monetary policy, which will bolster domestic demand, and a pick-up in investment activity, as uncertainty about the political situation diminishes," the National Bank said, commenting on its expectations. The National Bank also revised its balance of payments expectations: the outlook for its deficit by the end of 2019 was improved to $1.1 billion from $1.6 billion, for 2020 - to $0.1 billion from $0.4 billion, for 2021 projected at $0.7 billion. The current account deficit forecast for 2019 is worsened to $4.5 billion from $3.5 billion (to 3.1% of GDP from 2.5% of GDP), for 2020 - to $5.6 billion from $4.2 billion (to 3.6% of GDP from 2.8% of GDP), for 2021 it was set at the level of $6.2 billion (3.9% of GDP). "In 2019, the deficit will narrow to 3.1% of GDP, due to the 2018 bumper corn harvest and a drop in energy prices. In 2020–2021, the current account deficit will widen slightly, on the back of a decrease in gas transit, a poorer grain harvest, and a rise in investment imports after the elections," the central bank said.